For those employees who are in the scheme before this date, they will be able to continue to receive childcare vouchers for as long as they are eligible and whilst their employer is offering the scheme. The Government have introduced Tax Free Childcare as an alternative to childcare vouchers. However to change a complete scheme when there is a perfectly good scheme in place with robust and tested systems is worrying, dare I say madness! Childcare vouchers for years have offered employees a simple solution to generate savings, and also a way for employers to support their employees whilst generating valued NI savings. A saving that enables employers to offer other important employee benefits. Yes, many parents will be better off on the new scheme, however many also will be worse off and better sticking to the current employer supported childcare vouchers. Having read the documents released by the Government, the new Tax Free Childcare Scheme does not sound as simple as 'parents put money in' and the Government 'top it up'. It is a very complex scheme which is going to require very sophisticated systems which will come at a significant cost. A huge investment for the Tax payer. The Government has opted not to use existing providers that have a wealth of knowledge and experience of the market but will be using NS&I, an organisation that has no experience in delivering such a scheme, this itself could potentially have disastrous consequences. A closed market with no competition will not drive service levels up as in the current industry. The Government could have achieved the same goal by keeping the existing childcare voucher scheme and increasing the maximum voucher value, implementing childcare vouchers as mandatory benefit to be offered by employers and opening the scheme up to self employed. Therefore no requirement for a new scheme, new and untested systems and huge investment. 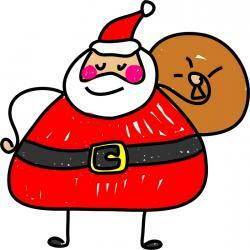 Our message to parents is to apply for the childcare vouchers now while you have the opportunity to do so and then in autumn 2015 decide on which scheme is better for them and switch if necessary. We are writing to inform our clients of the announcement made today by the Government regarding the new Tax-Free Childcare Scheme following last years consultation. The Government has announced that Tax-free Childcare will be introduced in autumn 2015 and will replace the existing employer supported childcare (childcare vouchers). The Government has decided that HM Revenue & Customs (HMRC) will deliver Tax-Free Childcare in partnership with National Savings and Investments (NS&I) rather than by existing childcare voucher providers. Many parents will receive greater savings by participating in the Tax-Free Childcare Scheme, including the self-employed. However some parents are better off under the existing childcare voucher scheme. Employers can continue to offer childcare vouchers to employees however will be closed to new entrants when Tax-Free Childcare is introduced in autumn 2015, when existing childcare voucher members will be able to choose whether to remain in the childcare vouchers scheme or move to the new Tax-Free Childcare Scheme. Employees will be able to remain in the existing scheme for as long as their employers continue to run a scheme. If an employee move’s to a new employer after autumn 2015 they will be considered to have left the existing childcare voucher scheme and will only have the option of joining the new Tax-Free Childcare scheme. The new scheme provides all eligible parents with a government top-up of 20p for every 80p parents pay towards their childcare costs, up to a maximum of £10,000, saving up to a maximum of £2,000 per child, per year. 4. neitherparent (or a lone parent) is an additional ratetaxpayer. The Government is keen and will encourage employers to continue to be involved with Tax-Free Childcare. Employers can act as a source of information to employees or they can be more closely involved, making payments into employee’s account. The new Tax-Free Childcare Scheme will not provide any National Insurance savings. For some employers this will be a significant loss. For more information please see the full Governments response to the consultation on the below link. Apple Childcare Vouchers would like to welcome Autism Care UK. Apple Childcare Vouchers are delighted Autism Care UK selected us as their chosen childcare voucher provider. We look forward to working with Autism Care UK and their employees. Apple are delighted to welcome Newcastle Rugby. 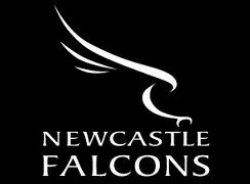 We look forward to working with the team at Newcastle Rugby and their employees. Apple are pleased to announce that The Manufacturing Technology Centre will be joining Apple Childcare Vouchers. We look forward to working them and their employees. Changes to tax free childcare - Will you be better off OR NOT? On Wednesday 20th March the Government announced through ‘The Budget’ a new scheme for tax-free childcare for working families. The new scheme is to be introduced from Autumn 2015 and according to The Government will be opened to 1.3 million families with children up to the age of 5 initially and up to 2.5 million families with children up to the age of 12 eventually over a period of time, compared to the existing employer supported childcare voucher scheme used by just ½ million families. It is believed that the new scheme will allow parents to choose their own childcare voucher provider to manage their individual account. However, there is much detail still to be confirmed. • It is important that companies and parents are encouraged to join the existing employer supported scheme to make the most of the savings currently available. • Parents will be able to switch to the new scheme in 2015. • After the new scheme has launched parents can only join the new scheme. “There is plenty of time before the new scheme launches and during this period Apple Childcare Vouchers will continue to offer a quality service to its clients, parents and childcare providers. The Government has announced the childcare voucher scheme will change in Autumn 2015. The new scheme will gradually phase out the existing childcare voucher scheme operated via parents employers, however employees can continue to join the existing scheme until the new scheme is launched in 2015. If an employees is in the current exisiting scheme when the new scheme launches the employee can choose to stay in the exisiting scheme or transfer to the new scheme. Please see attached link for further information from the HM Treasury website. Apple are delighted to announce that Jardine Lloyd Thompson will be transferring their childcare voucher scheme from April. We look forward to welcoming their employees to the our scheme and we look forward to developing our relationship with JLT. Apple are delighted to start the New Year by being selected as the childcare voucher provider for Dumfries and Galloway Housing Partnership. 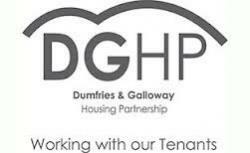 We look forward to a successful relationship with Dumfries and Galloway and their employees. Apple Childcare Vouchers have been successful in gaining the transfer of East Kent College's childcare voucher scheme. Apple are delighted to be transferring the scheme which will start in October 2012. Apple look forward to working with the team at East Kent College and their employees. Apple are delighted to welcome Oxford PharmaGenesis Ltd to the scheme. We look forward to working with the team at Oxford PharamaGenesis and their employees. Apple can confirm that Harton Technology College has decided to transfer to Apple Childcare Vouchers. The news of this success further bulsters Apple's presence in the Education Sector. The transfer will take place in July to start from employees August salaries. Apple are looking forward to working with Harton Techology College and their employees. Apple are delighted to have been chosen to transfer the childcare voucher scheme for Avanta. 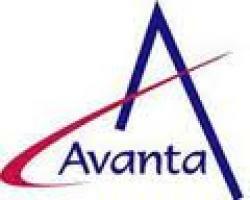 We look forward to working with Avanta and all employees. Apple Childcare Vouchers continue their growth in the Education Sector with news that Wyggeston and Queen Elizabeth 1 College will be transferring to Apple in April 2012. Apple looks forward to transferring the scheme and working with College and their employees. Apple Childcare Vouchers are appointed to transfer the KCOM Group Childcare Vouchers Scheme. This is fantastic news for Apple and we are delighted to have been appointed. The transfer will take place throughout March 2012 to start from April 2012 salaries. Apple looks forward to working with KCOM and their employees. Apple Childcare Vouchers are not financial advisors and therefore we recommend that our clients seek futher professional advice. Apple Childcare Vouchers are delighted to announce that York & North Yorkshire are transfering their childcare voucher scheme to Apple. Employees will continue to use their current provider throughout March and April with the Apple Childcare Voucher scheme going live in May 2011. Apple look forward to working with York & North Yorkshire Probation Trust and their employees. Apple Childcare Vouchers are delighted to announce that West Yorkshire Probation Trust are transfering their childcare voucher scheme to Apple. Employees will continue to use their current provider throughout March and April with the Apple Childcare Voucher scheme going live in May 2011. Apple look forward to working with West Yorkshire Probation Trust and their employees. 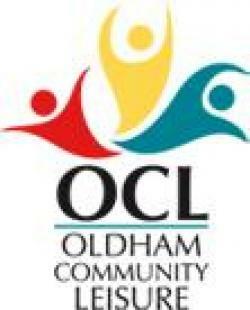 Oldham Community Leisure has selected Apple Childcare Vouchers as their provider. The scheme will be advertised throughout April and employees will be eligible to join from their May salaries. Apple are delighted to welcome Oldham Community Leisure to our scheme and we look forward to working with their employees. The rules around childcare vouchers will be changing on the 6th April 2011. 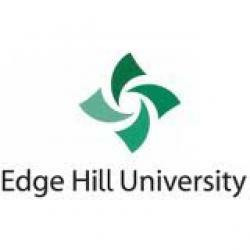 Apple Childcare Vouchers are delighted to announce that Edge Hill University will be transfering to Apple Childcare Vouchers. The transfer will take place throughout February and March and employees will be able to enjoy Apple Childcare Vouchers from their March salary. This is fantastic news for Apple as we continue to go from strength to strength in the Education sector following recent transfers of The University of Huddersfield, The University of Chester, Stoke on trent College and The Sheffield College. Apple look forward to the transfer process and working with Edge Hill University and their employees. 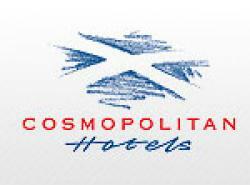 Apple Childcare Vouchers are delighted to welcome Cosmopolitan Hotels to the growing Apple client portfolio. Cosmopolitan Hotels will start offering the scheme to their employees from April 2011. Apple look forward to working with Cosmopolitan Hotels and their employees. Heythrop College have chosen Apple Childcare Vouchers to provider their employees with the valued benefit. Apple Childcare Vouchers will start immediately and employees will be able to select the benefit to start from their February 2011 salary. Apple Childcare Vouchers look forward to working with Heythrop College and their employees. 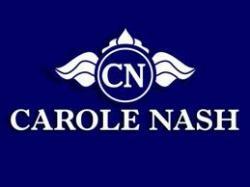 Apple Childcare Vouchers are delighted to announce that Carole Nash Insurance Consultants have selected Apple as their Childcare Voucher Provider. The scheme is due to start in the New year and Apple Childcare Vouchers look forward to working with Carole Nash and thier employees. Apple Childcare Vouchers are delighted to announce that The Sheffield College has transferred its childcare voucher scheme to Apple Childcare Vouchers. The scheme will go live in November and Apple look forward to working with The College and welcoming employees to the scheme. Apple Childcare Vouchers are pleased to announce that the University of Chester have chosen Apple Childcare Vouchers as its new provider. We will be transferring the scheme thoughout August with the scheme to go live in September 2010. Apple are delighted to welcome the University of Chester to our ever growing client portfolio in the education sector and look forward to working with the University and their employees. Kingspan Limited have transferred their childcare voucher scheme to Apple Childcare Vouchers. Kingspan Limited are the third Company that have transferred to Apple from the Kingspan Group. Apple Childcare Vouchers looks forward to working with Kingspan Limited and their employees. Kingspan Insulations have followed Kingspan Ltd in making the switch to Apple Childcare Vouchers. Kingspan Insulations are transferring all of their existing users to Apple to start in July 2010. This is another great account for Apple and we look forward to working with Kingspan Insulations and their employees. Apple Childare Vouchers are pleased to announce that Egger UK have selected Apple Childcare Vouchers are their new provider of childcare vouchers. Apple look forward to working with Egger UK and their employees. Apple Childcare Vouchers are delighted to announce that the University of Huddersfield will be transferring their existing scheme to Apple. The scheme will go live in April 2010. Apple are looking forward to working with the University and welcoming their employees to the Apple Childcare Voucher scheme. Marcus Barrow, Managing Director at Apple Childcare Vouchers states, "this is a big moment for Apple, we have been working hard to break into the education sector and we are delighted that the University of Huddersfield is our first major client within this sector. We are looking forward to the transfer process, providing a quality service and building relationships within the University and their employees". Apple Childcare Vouchers are pleased to announce that Equifax will be transferring their childcare vouchers scheme to Apple Childcare Vouchers with effect from April 2010. Apple Childcare Vouchers look forward to working with Equifax and their employees. Kingspan Ltd have elected Apple Childcare Vouchers to administer their scheme to commence in March 2010. Apple Childcare Vouchers are delighted to welcome Kingspan Ltd and look forward to providing their vouchers. Apple are delighted to announce that Honda of the UK Manufacturing have decided to transfer their existing scheme to Apple Childcare Vouchers. The transfer will see over 100 employees transfer from Honda's existing provider to Apple Childcare Vouchers and will start in April 2010. Appl are looking forward to working with Honda and their employees. The prime minister has denied the Government will scrap childcare vouchers and has maintained the tax credits low and middle-income parents will receive are better than the tax efficiencies on childcare vouchers. But Gordon Brown confirmed the Treasury would be phasing out tax and National Insurance efficiencies on the perk.Responding to a petition from working parents campaigning for childcare vouchers not to lose their tax efficiencies, which was suggested by the prime minister in his speech at the Labour Party Conference, Brown said: "I can see that childcare vouchers are a big concern to many of you, so let me take this opportunity to clear a few things up.